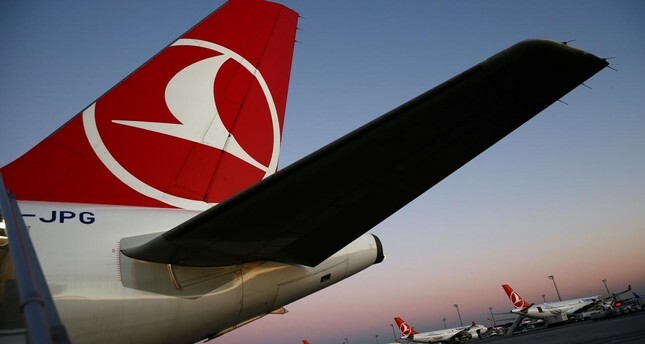 Turkey's national flag carrier Turkish Airlines (THY) on Wednesday denied reports claiming that the company had been sold to Qatar Airways. "News reports about the sale of Turkish Airlines which surface from time to time have no basis in reality. We wish to respectfully inform the public that we reserve our legal rights about these baseless speculations," THY's Senior Vice President of Media Relations Yahya Üstün said on Twitter. Reports began circulating last week, alleging 49 percent of THY's shares were sold to Qatar Airways for $10.5 billion. Meanwhile, THY CEO Bilal Ekşi used the spotlight to quell rumors and praise the company's progress, saying the airline flies to more countries — currently 121 countries — than any other airline in the world. "We don't just carry passengers, but also culture, tourism, and develop business with entrepreneurs," he said. Ekşi also said the country's national flag carrier was one of Turkey's most influential "soft power" tools. "In terms of fleet size, our company is the number 10 airline in the world," he said. Pointing to the company's huge cargo network, Ekşi said the Turkish Cargo — a division of Turkish Airlines — ranks number two in Europe. "We aim to be one of the top two [companies] in the world," he said. "Toward this end, our efforts will continue." Ekşi added that over 10 percent of Turkish Airlines' revenues come from carrying freight. The airline's net profit reached 4.04 billion Turkish liras ($753 million) last year, up from 639 million liras ($223 million) in 2017.